THE ANATOLIAN DIAGONAL - EAST MEETS WEST! Dates, prices and itinerary for 2012 will be confirmed by 1st August. Relief maps often illuminate mega-scale physical features very clearly, the Great Rift is easily picked out, also the mountain barrier of the Caucasus between the Black and Caspian Seas. The Anatolian Diagonal is hardly discernable on such maps yet it seems a biogeographical divide of some importance. 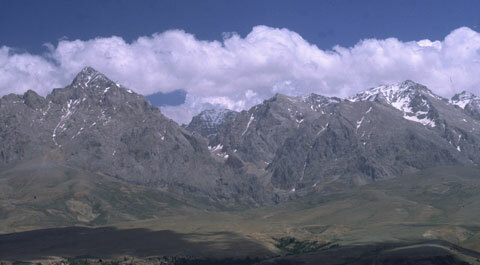 Stretching from the southern foothills of the Black Sea Mountains the diagonal takes us through the Munzur Mountains and the Anti-Taurus range before eventually reaching the northeastern corner of the Mediterranean. 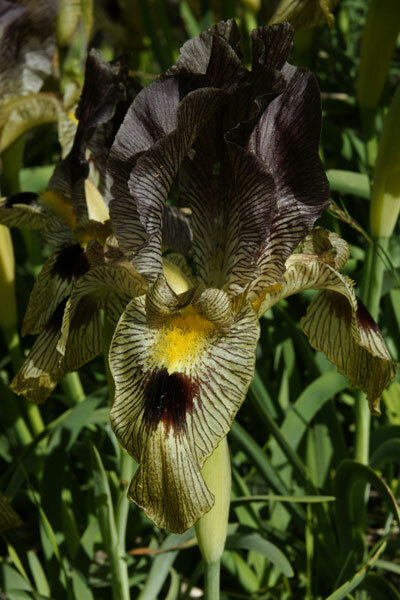 What is so striking is that most plant species occur either only to the east of it, or only to the west of it. There are also almost 400 species, including some absolute gems, that occur only along it! 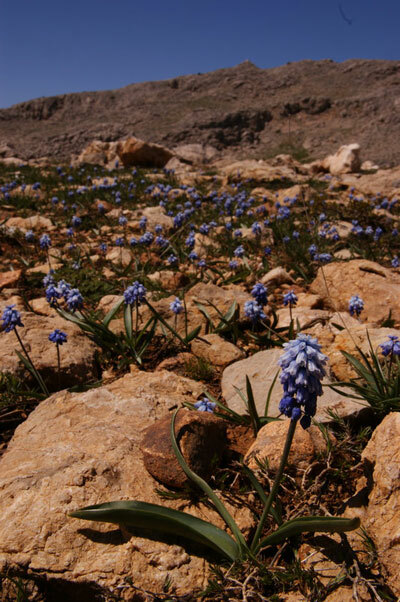 It is an extraordinary fact that of 3200 species of plant found along the diagonal nearly one-quarter are endemic to Turkey. 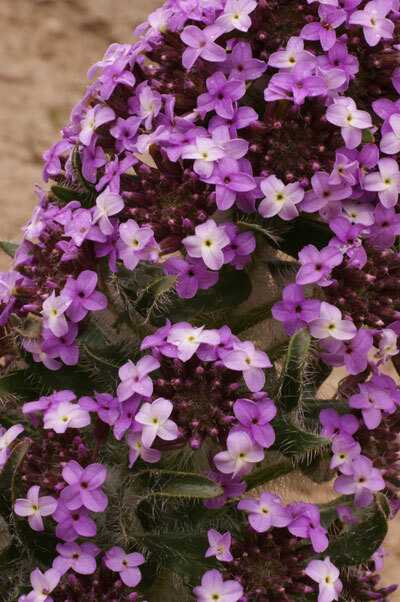 Beautiful almost unpronounceable Tchihatchewia isatidea is confined to the diagonal, the spires of silver-hairy leaves topped with a large rounded head of purple-pink flowers. A crucifer too! 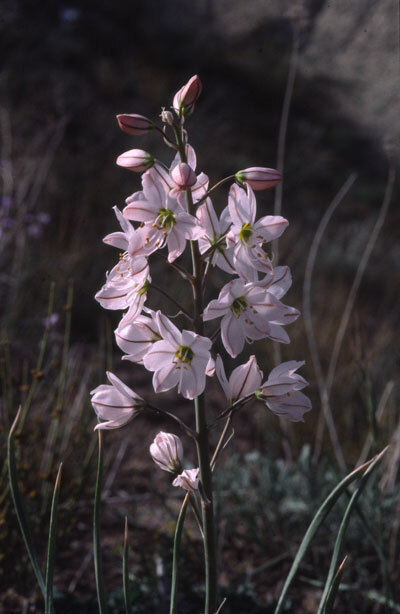 The high country of the Munzur Mountains has perhaps the finest snowmelt flora in the middle-east, with dense displays of pink Colchicum szovitsii, yellow Caltha polypetala and brilliant blue Scilla sibirica. Unbelievable groups of Iris reticulata bloom in profusion whilst Muscaris armeniacum and Muscari azureum shower slopes blue. 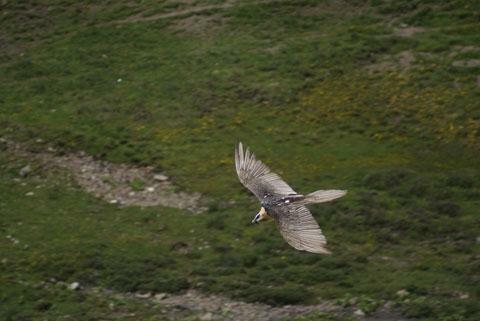 Lammergeier and Black Vulture are as common here as anywhere in Turkey. Bluethroats inhabit streamside shrubbery and Common Cranes call from marshy fields decked out with the tall pink spikes of Dactylorhiza osmanica. 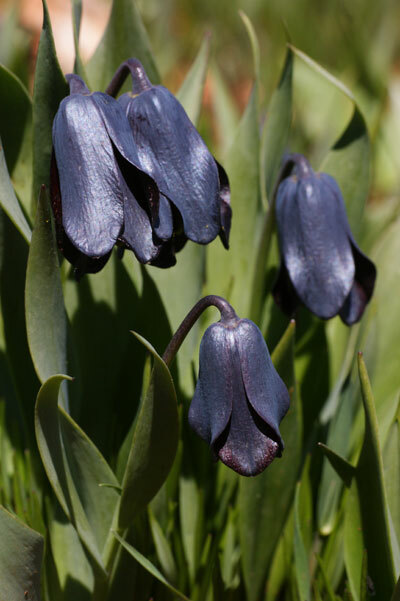 We’ll seek Scilla mesopotamica, red Tulipa armena, bizarre Eminium intortum, and the luscious glossy blackish bells of Fritillaria armena. 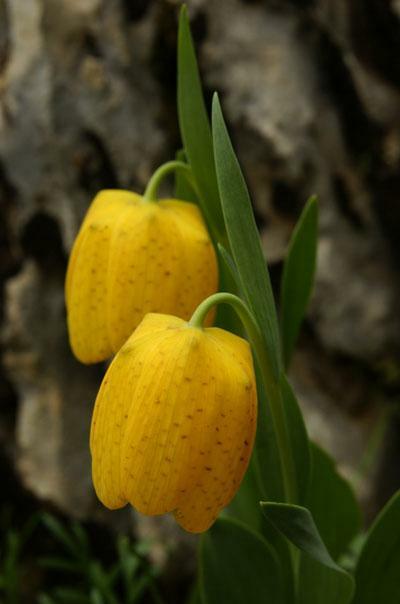 On one pass we’ll find the yellow bells of Fritillaria aurea blooming amongst a magnificent display of golden Erysimum thyrsoides, Solenanthus stamineus and abundant and striking scarlet Phelypaea tournefortii. Cinereous Bunting and Persian Wheatears hop amongst stupendous clumps of Iris sari that dot the rocky slopes of Nemrut Dağı, a mountain with fantastic views over the Mesopotamian plain. Topped with a fifty metre high tumulus and surrounded by colossal statues of Commagene deities, the extraordinary hierotheseion (royal burial precinct) of Antiochus I is one of the most amazing historical sites in Turkey. Flowers, particularly spring bulbs. Also Landscapes and Cultural Sites. Reasonably easy. Up to four or fives miles each day, though often less, and always at a slow pace, perfectly suited to photographers. Occasional steep slopes. All flights. All transport, meals and accommodation in Turkey. Services of your leaders. Please note: drinks, tips, Turkish Entry Visa (currently £10), and items of a personal nature including insurance, are not included. 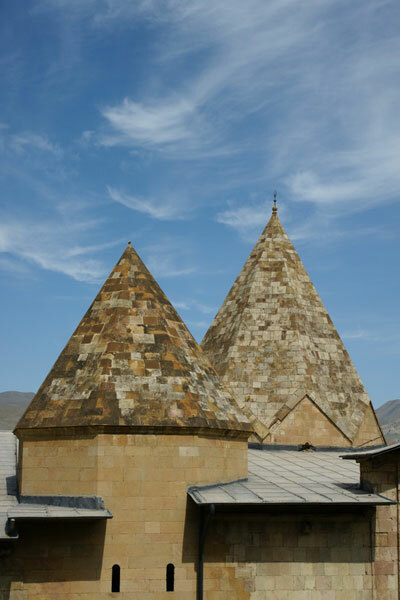 We start with two nights in the Dilaver Hotel in Erzurum and next are two nights in the Sembol Hotel in Erzurum. Two nights at the Belediye Hotel in Divr??? are followed by a three night stay at the warm and comfortable Bozkurt Hotel in Kemaliye. 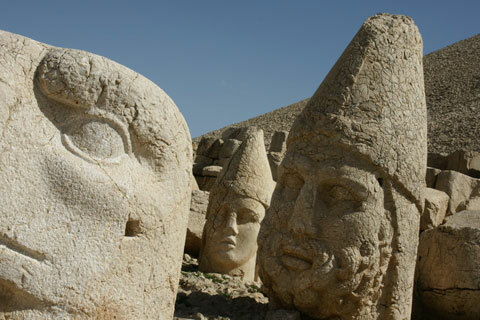 The main tour finishes with two nights at the 4-star Gaproyal Hotel in Malatya, those on the extension have two further nights at the family-run Hotel Kervansaray on Nemrut Dagi. The hotels on this tour are all of a reasonable three star standard and all rooms have en suite facilities. Often warm and sunny however there will be showers, these sometimes heavy, and more prolonged cooler damper weather is a distinct possibility. Sometimes quite cold at higher altitudes. Contact us to check there is availability for the number of places you require. Download a booking form (or contact us and we will send one to you)from the Booking Information section. Complete and send to us. You will receive confirmation of your place and then a detailed information pack will be dispatched to you about twelve weeks before departure.